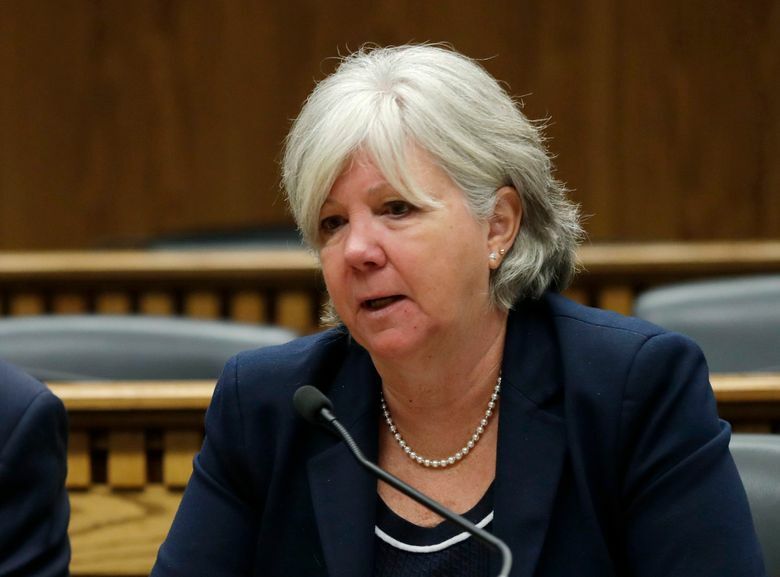 In an email announcing her retirement, Sen. Sharon Nelson, D-Maury Island, said she had accomplished her goals as Senate majority leader and was ready to spend more time with her family. OLYMPIA — Washington Senate Majority Leader Sharon Nelson, the Democrat who led her party through years in the minority and back to its control of the chamber, won’t seek re-election this year. In an email Tuesday, Nelson, of Maury Island, said she had accomplished her goals and was ready to spend more time with her family. A spokesperson for Nelson, 66, confirmed her plans to retire. First elected to the Senate in 2010 after serving in the House for three years, Nelson is a former banker and environmental activist. She also previously served as chief of staff for then-King County Councilmember Dow Constantine. Nelson led the party and its new one-vote majority through this year’s fast-paced legislative session, the first in recent years where Democrats controlled the state House, Senate and governorship. Lawmakers approved a slew of legislation, including a onetime state property-tax cut and additional court-ordered funding for K-12 schools. They also passed bills aimed at reducing gun violence, improving access to voting and making changes to Washington’s deadly-force statute for law enforcement. Nelson and legislative leaders, however, drew scrutiny this year for how some of their more ambitious proposals unfolded in Olympia. They pushed forward a proposal to rewrite how Washington’s public-records laws treat the Legislature. Gov. Jay Inslee ultimately vetoed that bill, which was announced and passed through the Legislature within 48 hours without a public hearing or floor debate. And Democratic lawmakers drew criticism from Republicans this year over the legislative maneuvers they used to fund the onetime property-tax cut and pass an agreement to change the deadly-force statute. “What a loss for us but I am forever thankful for the victories she brought us,” Jinkins wrote. “While she has always been a staunch Democrat, her ability to see both sides of an issue and respect those with different perspectives, including those with whom she strongly disagrees with, will be missed,” wrote Fain, who also served as a Metropolitan King County Council staffer. “Despite the fact that she once kicked me out of Dow Constantine’s candy drawer at the Metropolitan King County Council, Washington state has been better off with her serving the public,” he added. Democrats in the fall elections are looking to consolidate their narrow majorities in the House and Senate, while Republicans hope to flip one or both of the chambers.